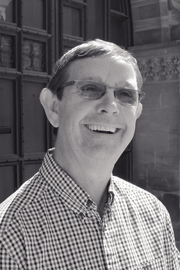 If there is one person who has a very special knowledge of our amazing building and collections, it is Chris Burras, our Head of Technical Services, who is retiring this month. Chris has been associated with the University all his life. His family home was the Botanic Gardens, where his father was Superintendent. As a teenager at Cherwell School, he completed a week’s work experience placement in the Department of Human Anatomy and joined the staff as a workshop technician shortly after. He moved on to the Inorganic Chemistry Laboratory where he spent 17 years before joining the Museum, 16 years ago. 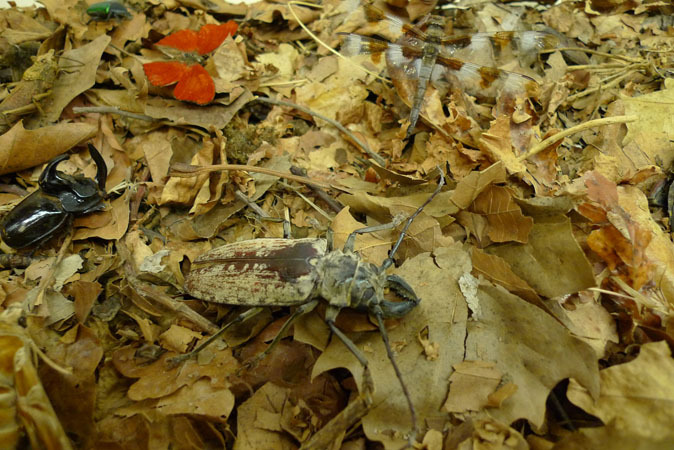 I particularly like this display of camouflaged insects on the forest floor. It can normally be seen in our Entomology gallery, which is closed during the building works. All the time I have worked in the Museum, I still have not been able to spot all of the insects here! Can you? These tiny specimens in glass tubes remind me of my three-week diving trip to Palau in the Indian Ocean with Assistant Curator Dr Sammy DeGrave. We were collecting shrimps for his research and to add to the Zoological Collections. We included a number of cave dives to place luminescent shrimp traps that use light sticks to attract the shrimps. It was an amazing experience. During our time in Palau there were lots of tourists wanting to be photographed diving with a nautilus. 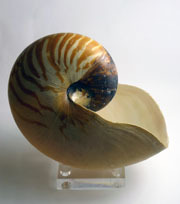 Nautiluses are cephalopods, relatives of the squid and octopus. As they naturally spend their time in very deep water, there’s a thriving business where local Palau people set deep traps to catch nautiluses and bring them up to the surface to be re-released. This provides welcome photographic opportunities for the tourist divers. I have seen many sea anemones during my time as a scuba diver. 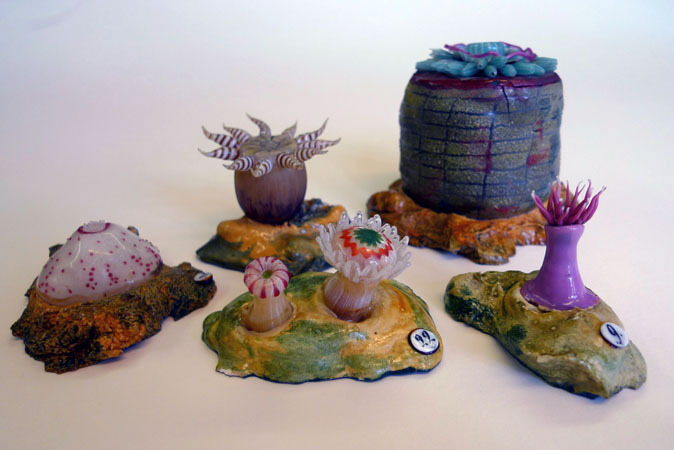 These Blaschka models were made in the 19th century in the Czech Republic, then Bohemia. The intricacy and accuracy of the glass work is truly amazing. Before joining the Museum I worked in the Inorganic Chemistry Laboratory, which has its own glass-blowing workshop. I have seen their experts working glass many times and know how difficult it is. Even they are in awe of the Blaschka craftsmanship. The cat paw prints in a red brick on the archway over the stairs were first pointed out to me by my predecessor. I have always imagined the bricks being formed from wet clay in the brick maker’s yard, and laid out to dry ready for firing. While the bricks were still wet, a cat walked over them. Who would have thought that 150 years later, we could enjoy that brief moment in time?